I hope that you can join us for our holiday card blog hop for Operation Write Home. 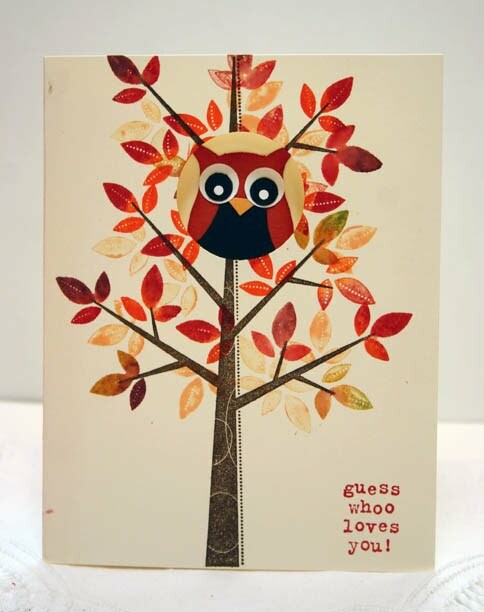 I love making cards for OWH, it is a great way to support our troops and their families while they are apart from one another. Whenever I design a card, I now automatically make an extra to go into the box for the troops. 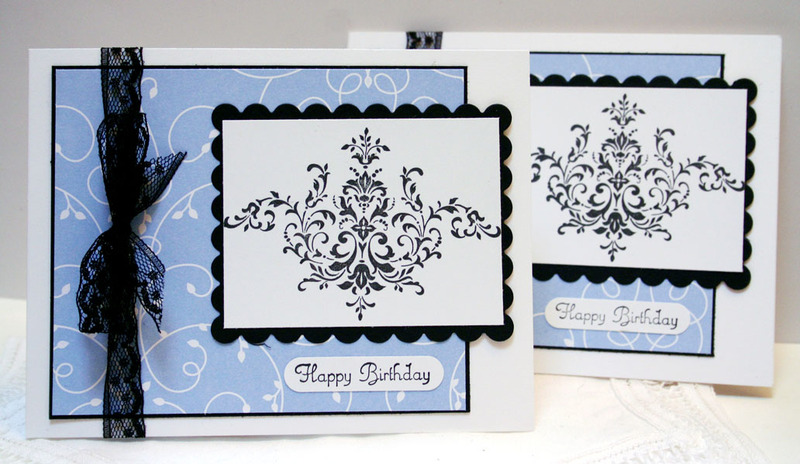 You get two cards per one sheet of cardstock so this is easy enough to do! 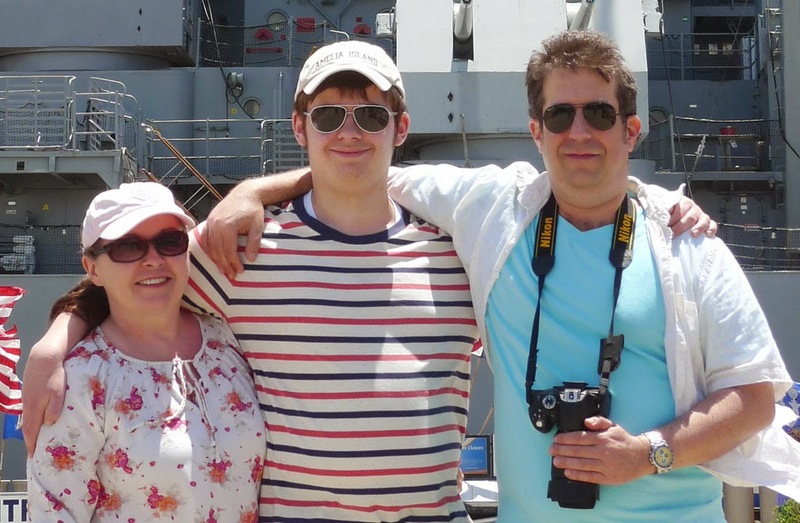 Find out more about this wonderful organization here at Operation Write Home. 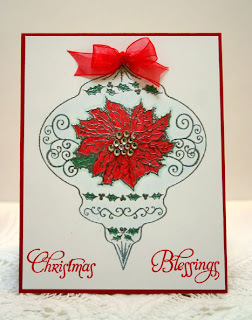 Card #1: Stamp set is Ornaments by Our Daily Bread Designs. Ornament was embossed in silver, colored with Copics markers. Center embellished with rhinestones and red organdy bow added to top. Sentiment from set was stamped in red. 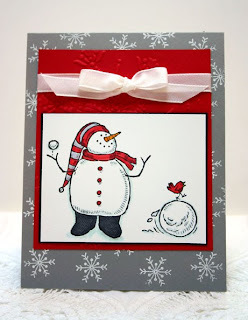 Card #2: These supplies are retired Stampin' Up's Sweet Holiday and the recipe card set. I made an apron pocket card and the recipe slides into it with the ribbon "neck" loop to complete the look of the apron. This would be fun to give with a plate of gingerbread men as a gift. 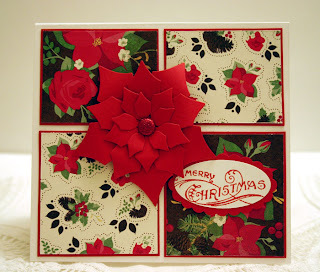 Card #3 uses Stampin' Up supplies of Holly Berry Bouquet designer paper, Bells and Boughs sentiment. 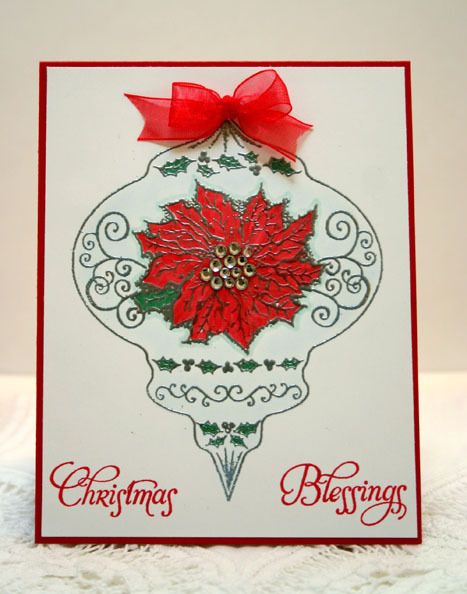 The poinsettia is new from Spellbinders Nestabilities. All supplies are Stampin' Up. Medallion embossed in gold, Day of Gratitude set in Tangerine and Suede with matching cardstocks. 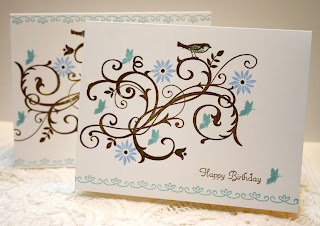 Colored in Copics and paired with Spice Cake dp by Stampin' Up. For the sketch challenge and the color challenge of Pool Party, Cherry Cobbler, and Espresso. 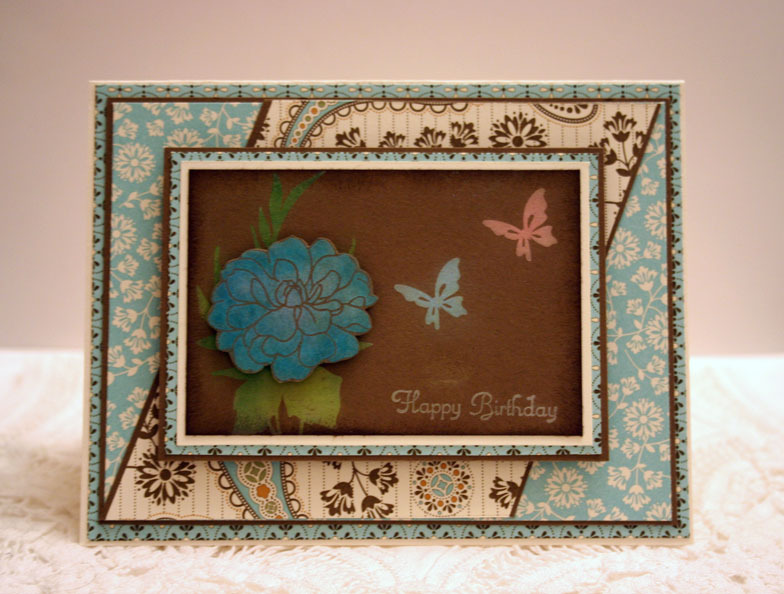 I used the Field Flowers set and Spice Cake paper. 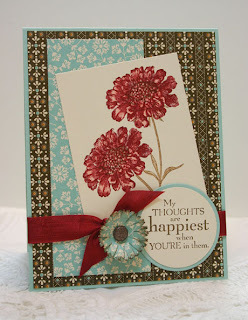 All supplies are Stampin' Up except for small flower punch embellishment. 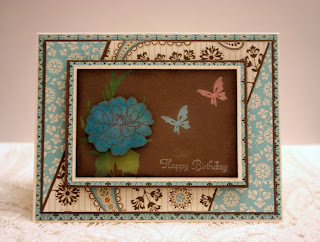 This card was for today's Splitcoast Featured Stamper Sue (bensarmom) and also a case of Dawn Griffith's original one. 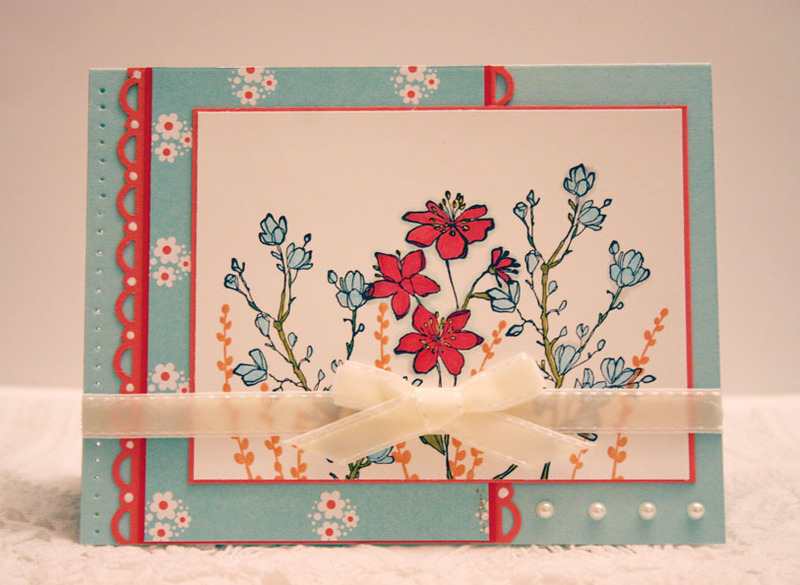 Vintage Vogue, Field Flowers sentiment, and Four Frames stamp sets, Baja, Pink Pirouette on Whisper White cardstocks. All supplies are Stampin' Up except for coloring in Copic markers: Beau Chateau paper, Baja and Whisper White cardstocks, Elements Of Style and All Holidays stamp sets and baja seam binding ribbon. Another for today's SCS challenge to use a paper bag. Paper gift bag is the standard lunch bag size. Wheeled Very Vintage jumbo wheel in Crumb Cake ink and sponged edges with same. Stamped images from Bliss set in Soft Suede and Poppy Parade, butterfly in pink. 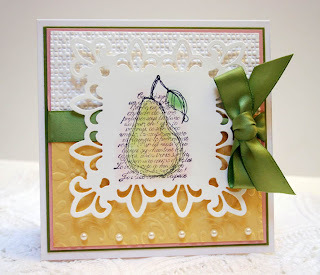 Sentiment on Very Vanilla oval is from Style Beautiful set. Sprayed with some Vanilla Shimmer Smooch Spritz. 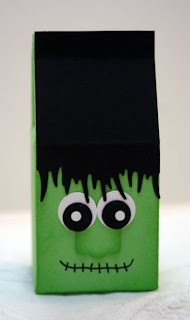 I love these treat bags and make them every Halloween. 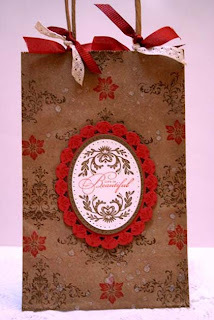 This is a little white paper craft bag that I cut with scalloped edged scissors at the top then adhered Top Note die in Green Galore with Orchid cardstocks (both retired SU),black gingham ribbon, tag and circle punches used for features. This is a mix of various ideas I have seen for these bags from Splitcoast and on the internet. 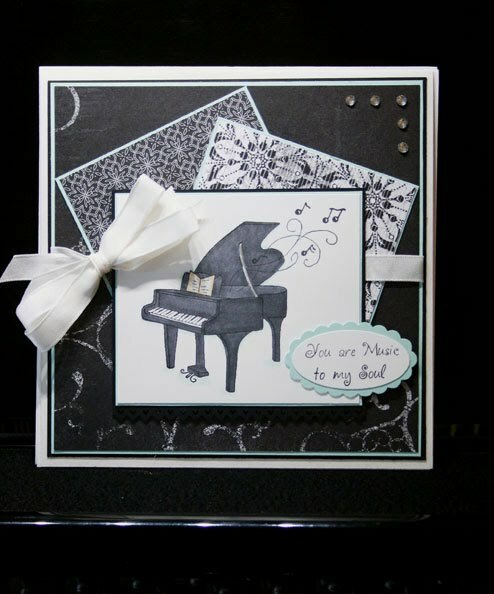 This card is going out to a girl who is a music major and currently studying piano, she is going through some difficult times with MS. The gals on Splitcoast are getting together some cards to cheer her. I didn't have any SU music images so I had to use this piano and sentiment from Artful Inkables. All other supplies are by Stampin' Up, the designer paper is retired though. I found the perfect IKEA shelf to fit my SU clear mount stamp cases, it's not too wide or deep for my one remaining empty wall. I am keeping flowers on it for now until I find just the right small lamp since this wall doesn't get any light. (Light in picture is coming from adjoining office). Every Tuesday I take a walk over to our Bellevue Farmer's Market and stock up on local produce and fresh flowers. They have the most gorgeous bouquets for $5, how can I resist this special treat? 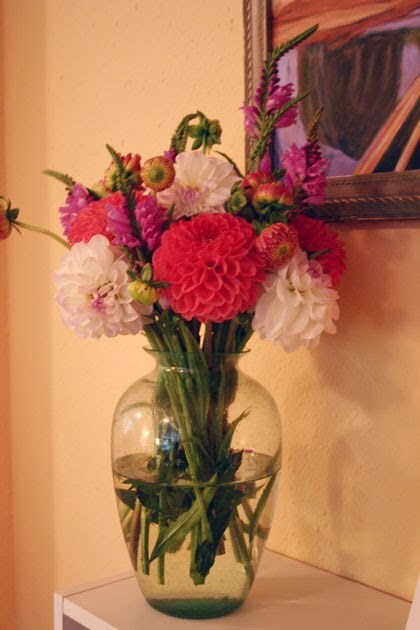 The dahlias in this picture are huge! This literally took 5 minutes to make and I was quite happy with the result. 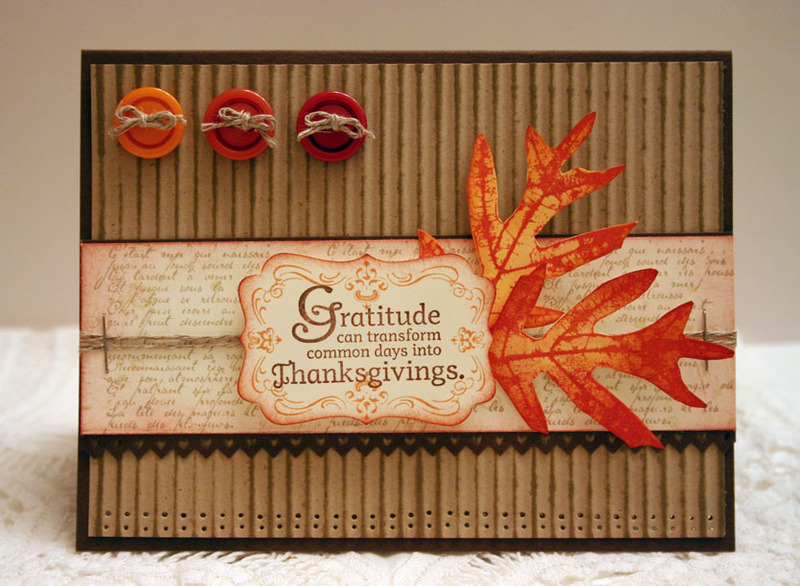 The Whisper White card was run through the Big Shot with the Tulips Frame embossing folder, the French Foliage leaves were stamped using Pumpkin Pie with Tangerine Tango and Old Olive edged with some Poppy Parade. The sentiment is in Turquoise from the Day of Gratitude set. 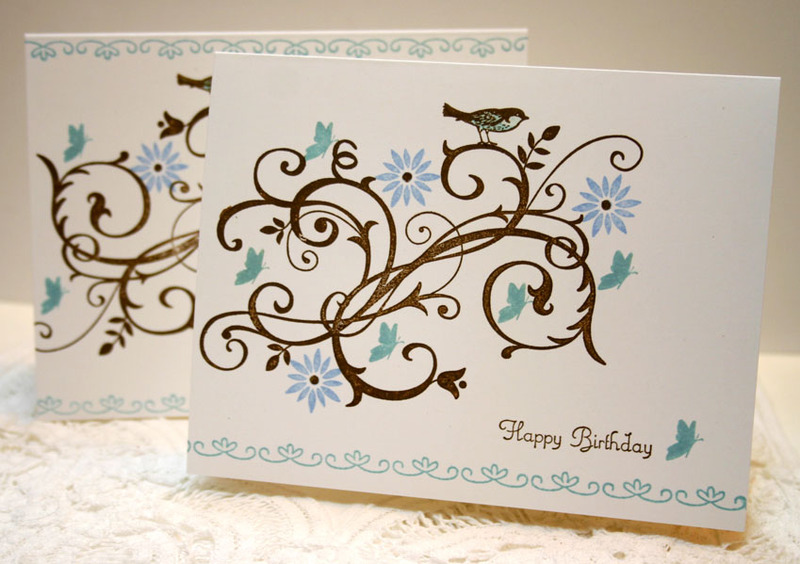 A great one layer card that is easily mailed. What to do with all of that leftover Green Galore cardstock! 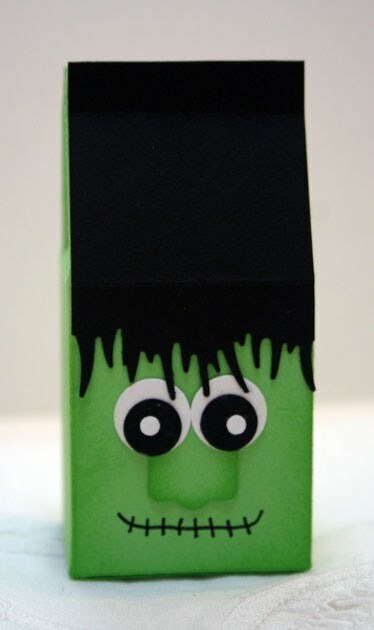 I don't think the kids will care if it is retired as long as it's filled with candy :) All supplies are Stampin' Up except for fringe punch used (Martha Stewart) and some of the small circles, SU Bigz milk carton, the nose is the label punch cut in half. Drew the mouth on with black marker. For today's challenge to use mostly blue. 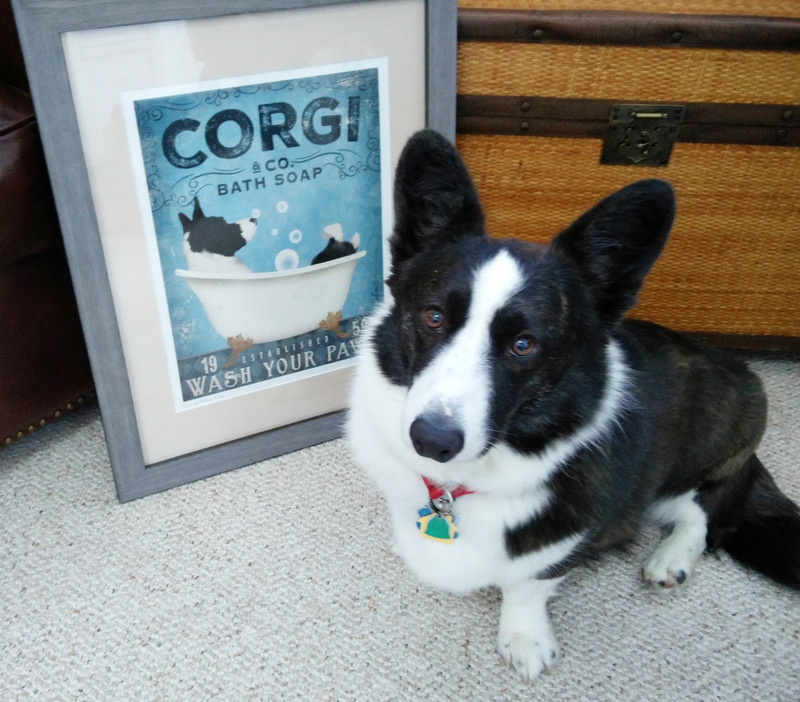 Card base is Pacific Point, Beyond the Garden and Domestic Goddess papers are Pool Party, Pacific Point (with Wasabi). 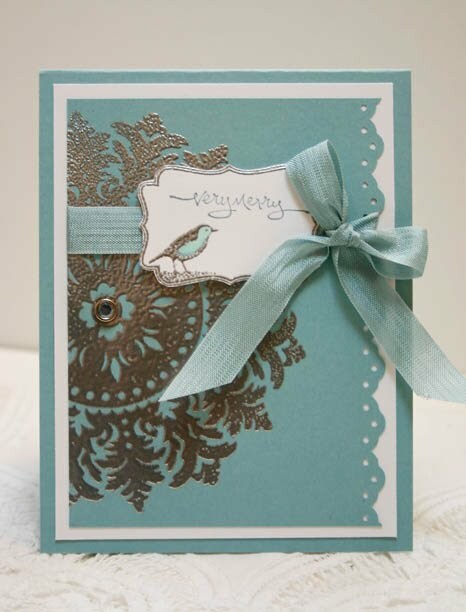 Fabulous Florets colored in blue markers with Chantilly Lace and rhinestones to embellish. 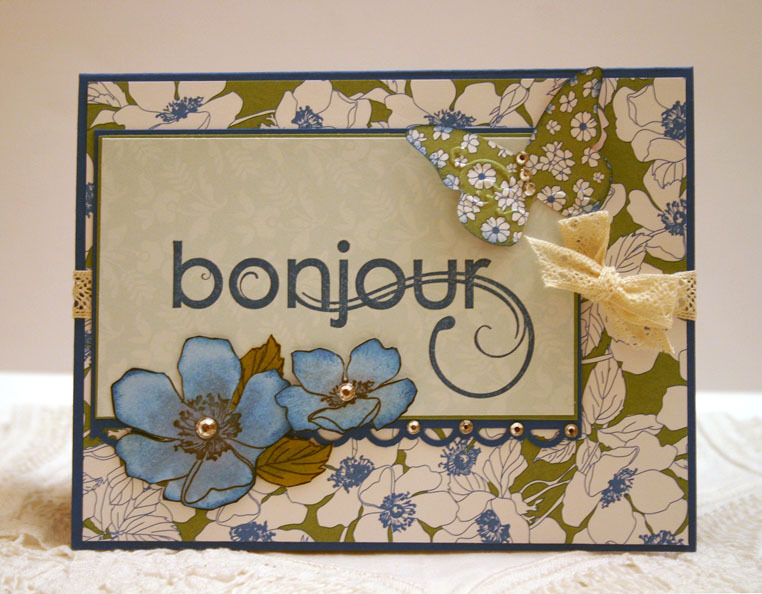 The bonjour sentiment is from the French version of the My Friend set (Chere Amie). All supplies are Stampin' Up. The chalked colors on the Soft Suede look a lot closer to the colors that are in the designer paper in real life. It was kind of hard to get an accurate photo of this at night for some reason. Spice Cake designer paper with Soft Suede and Very Vanilla cardstocks. Chalkboard technique for today's Ways To Use It was combined with the Sketch Challenge. I had a question about the chalkboard technique (I didn't have an e-mail address to respond so I hope that you see it here). 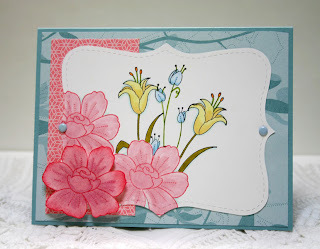 I stamped on the dark cardstock in craft white and then blotted/shaded over the white stamped area in chalk pastels while the ink was still wet. You can also color over on the white with colored pencils when the ink dries instead of using the pastels. If you use chalk pastels, you can wipe off the excess chalk with a Swiffer duster cloth. Hope this helps! Some more cards for the troops, I am trying to make some clean and simple one layer cards for them to send home. I know they will be traveling a long way so I think these will mail well. 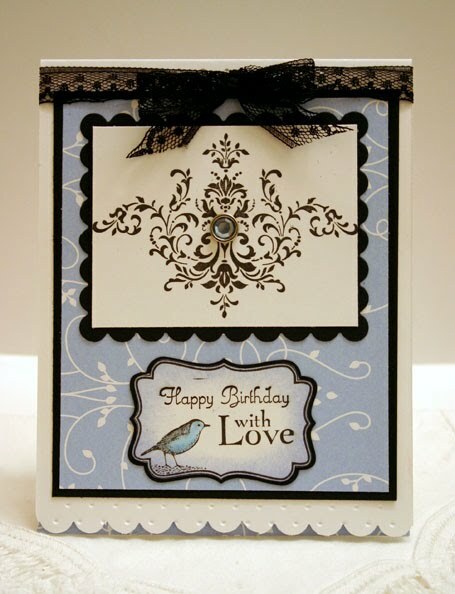 Whisper White card base with Baroque Motifs swirl in Soft Suede with flower in Bashful Blue, Bliss bird, Charming butterfly, birthday sentiment from Create A Cupcake, border stamp is from In Stitches jumbo wheel that I cut apart and mounted onto foam cushion for individual border stamps. I usually just make one of each card design but lately I am trying to do at least 2 or 3 extra of the same while I am at it so I can get them included with my next shipment to Operation Write Home. I used the Bliss set for the flourish. 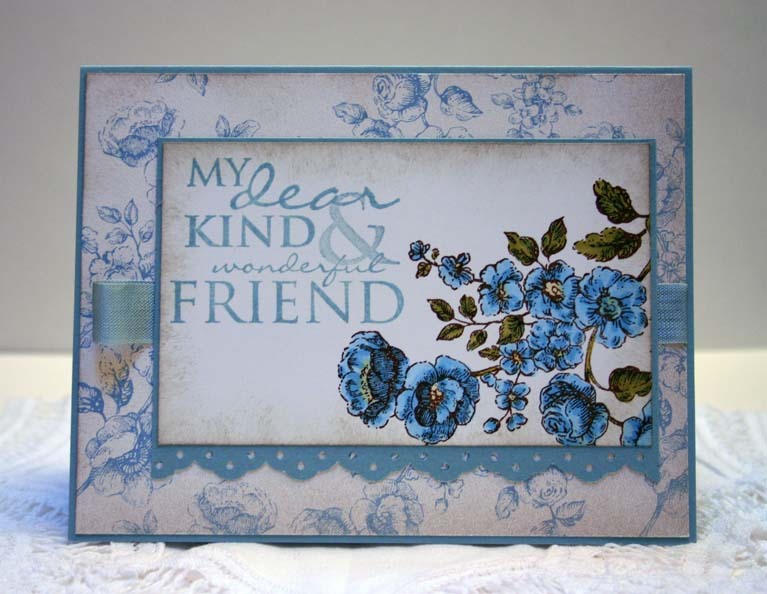 For the sentiment I used Four Frames, Create A Cupcake, and Field Flowers. Paper is from hostess selection in current catalog, lace is retired. All supplies are Stampin' Up except for Nestabilities scallop frame. For today's colors of Pool Party, Poppy Parade, and Peach Parfait. All supplies are Stampin' Up. 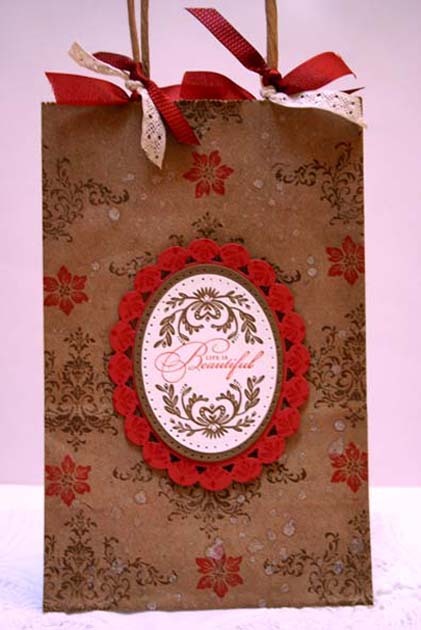 Domestic Goddess paper, Simply Soft stamps, and Very Vanilla velvet ribbon with half pearls to embellish. 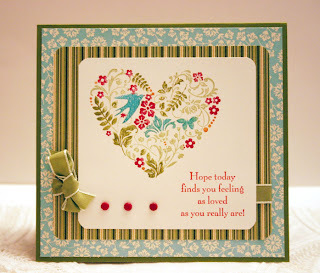 For the Operation Write Home's challenge to make a non traditional valentine, I used Stampin' Up's new set You Are Loved. 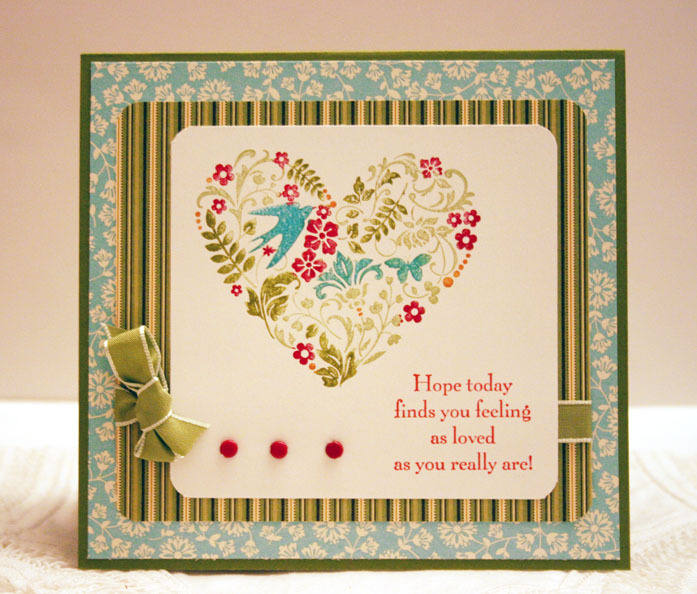 Markers were used to color the heart image and Spice Cake designer paper with an Old Olive base. 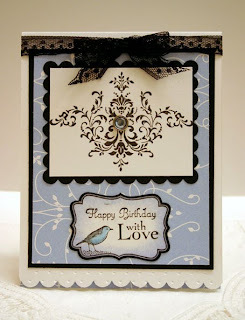 For today's Featured Stamper, a case of Lisa Wright's card using the SU set Dream A Little and retired SU paper. 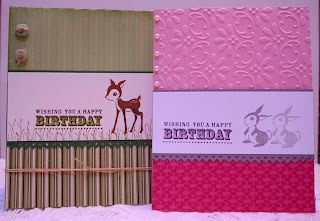 Also for the Operation Write Home's Virtual Cardmaking Party for the nature challenge. Flowers are a part of nature, right? 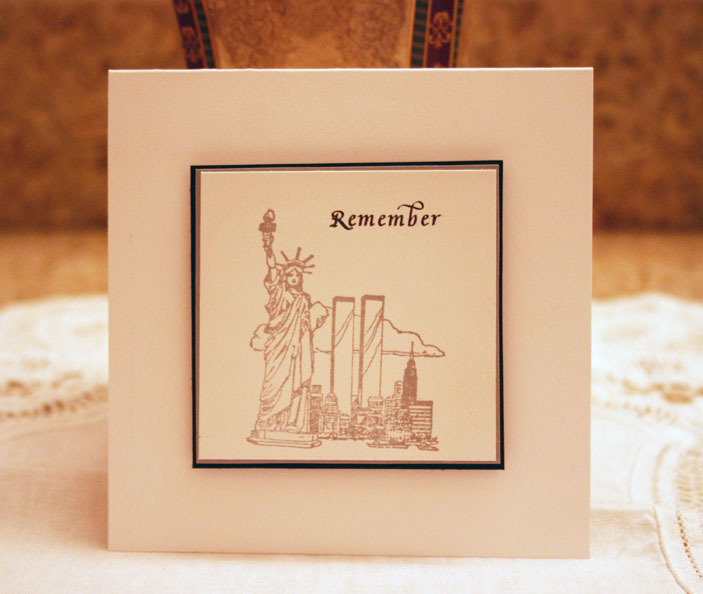 Prayers are being lifted up today in memory of all of the people that we lost on 9/11. 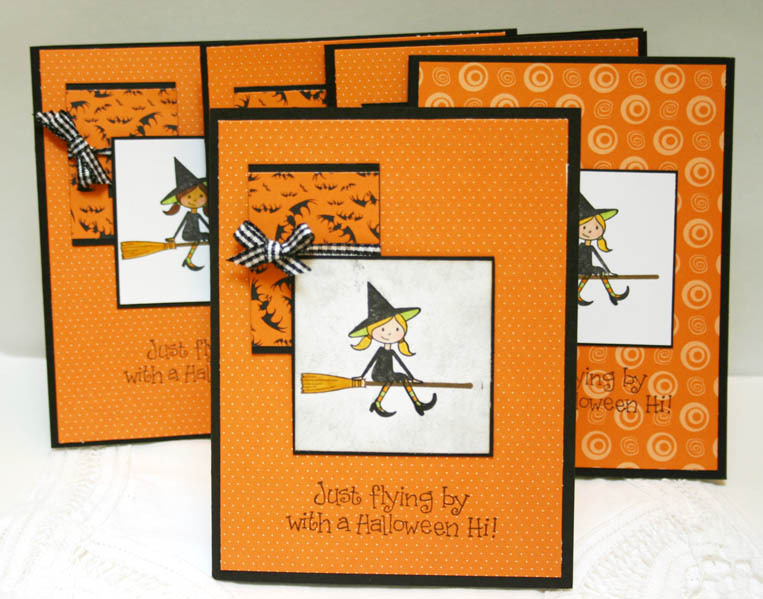 For the Operation Write Home's Virtual Cardmaking Party challenge #5- Falling For You. 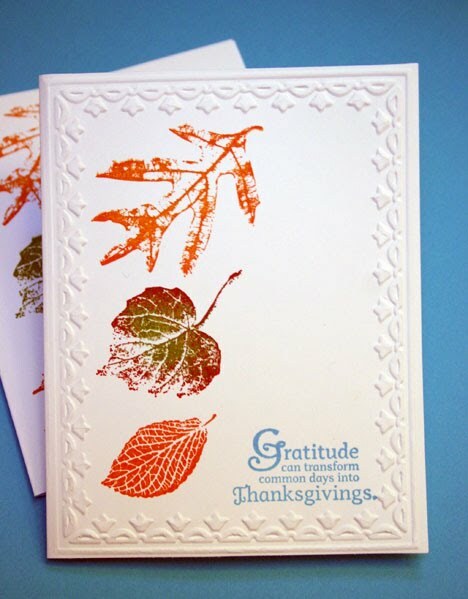 I chose a clean and simple card using the Day of Gratitude stamp set with colors brayered onto glossy cardstock. 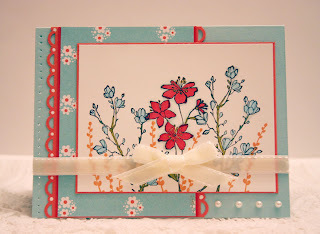 For Operation Write Home's Virtual Cardmaking Party challenge #4- pick a challenge from the July Fourth hop. I chose the fishes (#2). 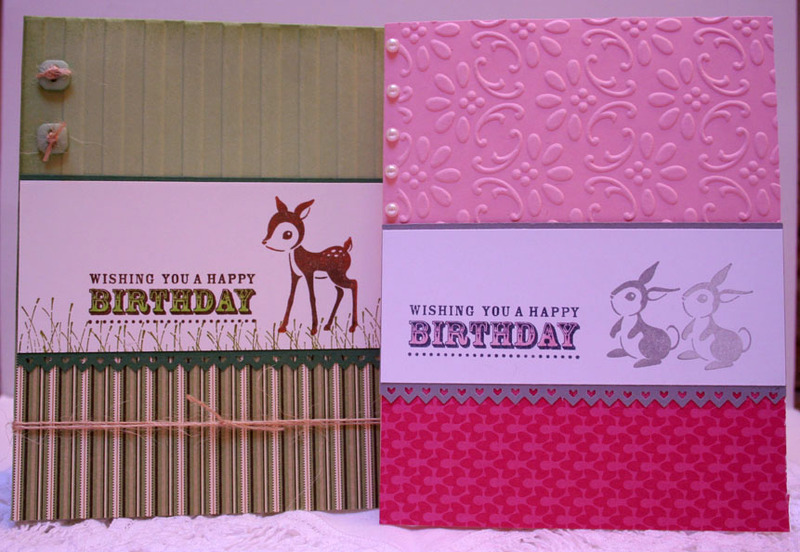 Stamp set is by Mark's Finest Papers, cardstocks of Pool Party and Groovy Guava by Stampin' Up. For Operation Write Home's Virtual Cardmaking Party challenge #1 for cards with animals. I made a card for a boy and a girl using the Forest Friends set, Happiest Birthday Wishes and all Stampin' Up supplies. 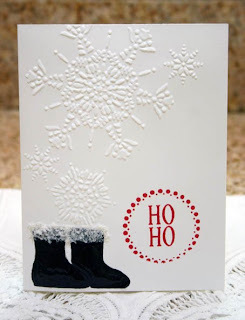 For Operation Write Home Virtual Cardmaking Party challenge to make a unique Christmas card. I chose red and gray as a different color combo. I used all Stampin' Up supplies. 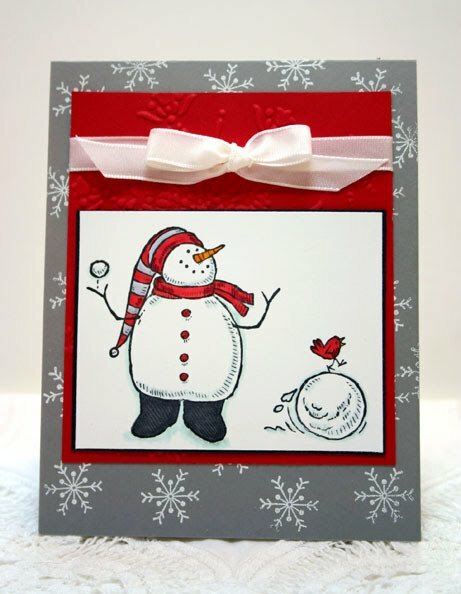 Snow Much Fun stamp set and snowslake from Season Of Friendship, Going Gray, Real Red, black & white cardstocks. Also for the Queen for the day challenge at SCS honoring Shelly (yo sam). French Foliage, Four Frames, and Day Of Gratitude stamp sets. Crumb Cake cs run through crimper with Very Vanilla and a Chocolate Chip base. Earths buttons and linen thread. For today's colors of So Saffron, Cajun Craze, and Always Artichoke. Autumn Days stamp set for wreath and Holiday Best for sentiment. 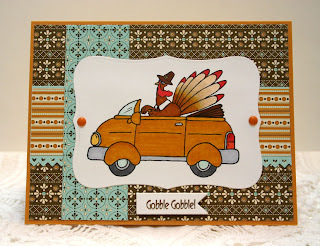 I used all of the same ink colors with a little bit of More Mustard added and some antique brads to embellish. 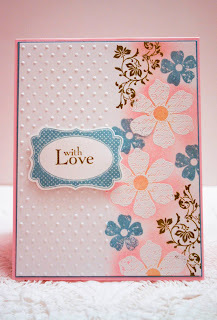 Lattice Squares and Vintage Wallpaper embossing folders for texture. Today's Clean and Simple challenge was to make a card with shoes. I don't have much in the way of shoe stamps so I made my own. I drew Santa's Boots in with black markers and covered completely in Crystal Effects for shine (hard to see the gloss in the photo). Added a strip of Sticky Strip to the top and coated with Polar White Flower Soft. 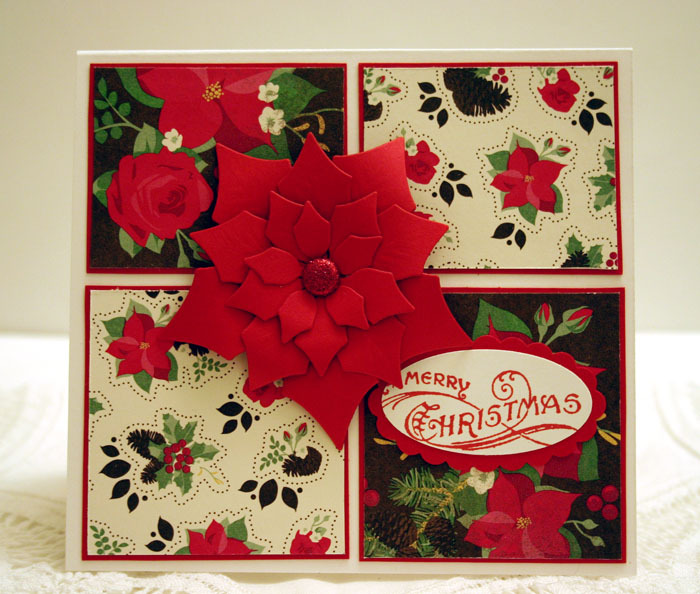 Embossed with Northern Flurries folder and added sentiment in red. 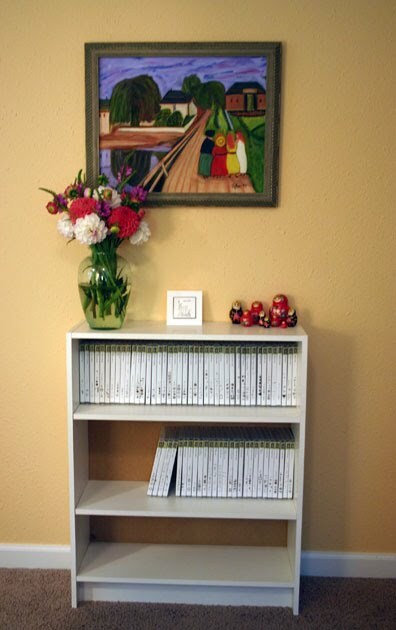 I used the SU Faith In Nature pear shaded in chalk pastels, Nestabilities Fleur de Lis frame. 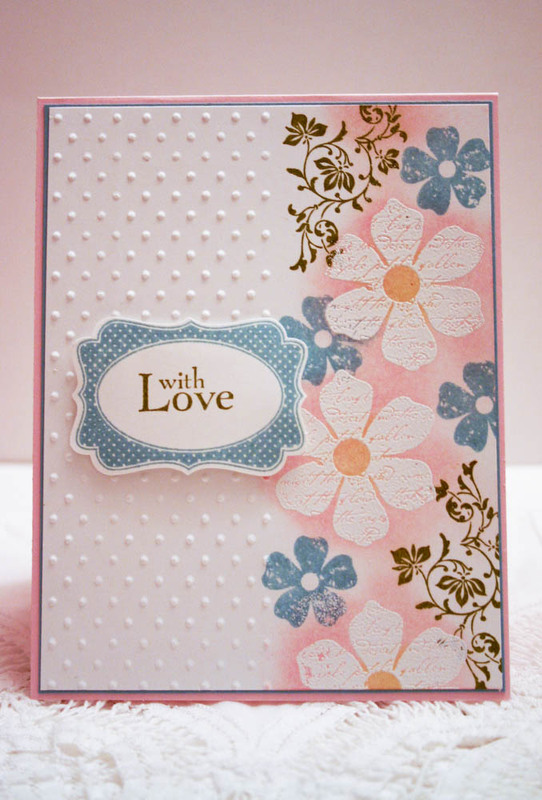 SU embossing folders Lattice Squares and Vintage Wallpaper for the Whisper White and So Saffron panels. Pretty In Pink and Old Olive cardstocks also used with olive satin ribbon and half pearls to embellish. 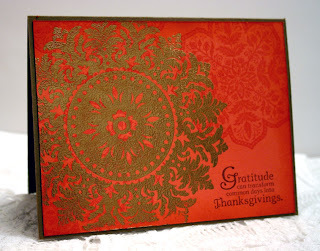 All supplies except for Spellbinders frame are Stampin' Up. 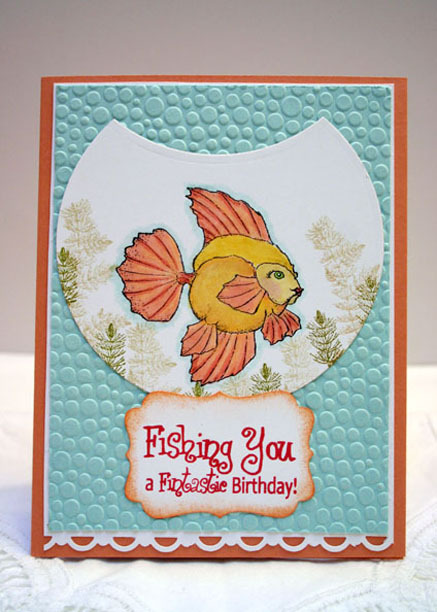 This card was in honor of Chris Dickinson, today's Featured Stamper on Splitcoast. 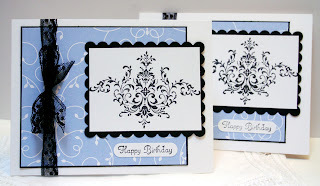 Baja Breeze cardstock, Medallion and Four Frames stamps embossed in silver, baja seam binding ribbon and Ice rhinestone brad to embellish. This was inspired by Trish on SCS for the Queen for the Day challenge. This paper is one of the hostess selections from the main catalog. 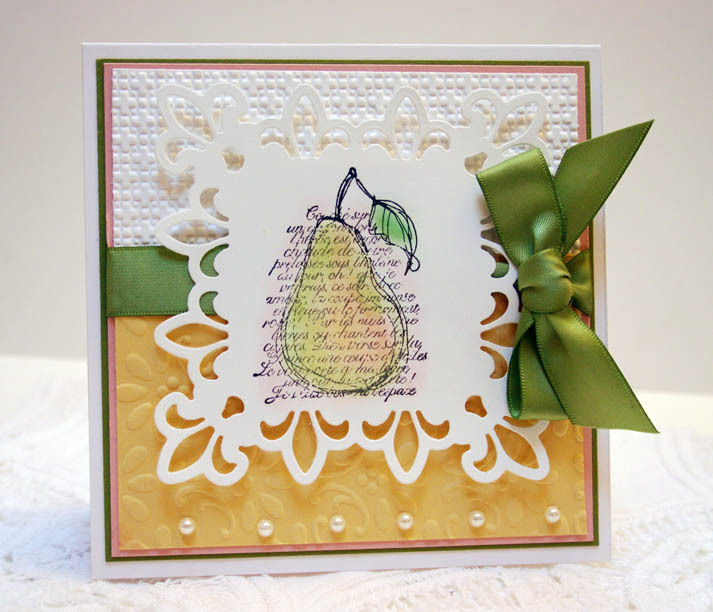 I started with the sample there as my inspiration and kicked it up a notch, adding a sentiment from the Four Frames set in Pear Pizzazz with the sentiment in Melon Mambo from Up, Up & Away. 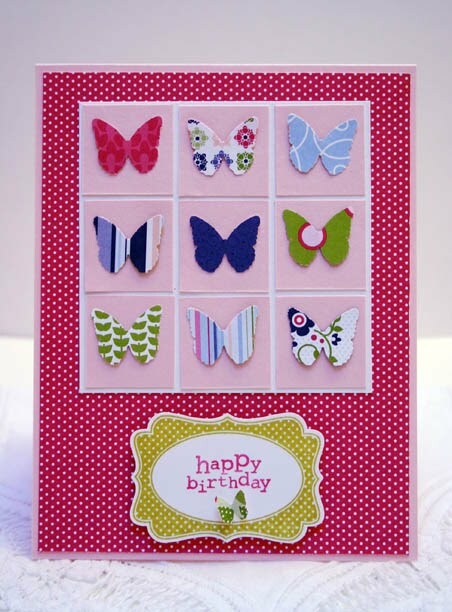 The base is Pink Pirouette, the white square is 3 1/2" with 1" Pink squares and the butterflies were punches (Martha Stewart punch) from the Cheerful Treat designer paper. 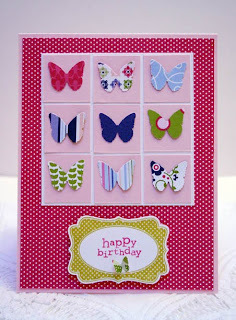 You could use the Sizzix embosslit butterflies die if you want to stay all SU. Some more cards going out to Operation Write Home this week. I have been working with my boxes of pre-cut packets that I had left from workshops and stamp-a-stacks so these are going together quickly. 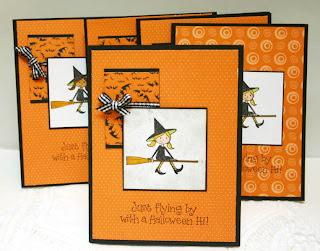 I used the new Halloween set by Stampin' Up called Out On a Limb. All supplies used are SU although some may be retired. 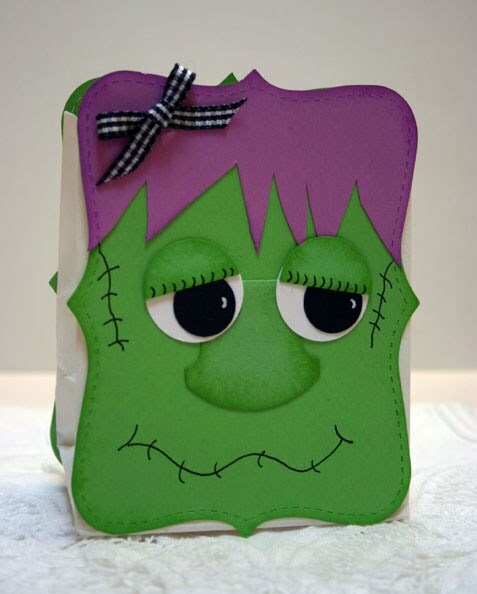 Inside sentiment says "no trick or treater could ever be sweeter". 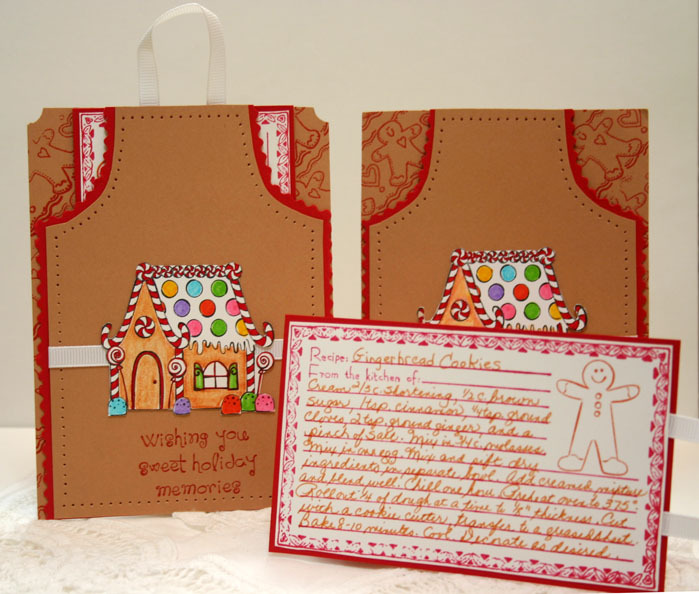 I am dedicating the next few weeks to making more cards for Operation Write Home for the troops to send home to their families, this time concentrating on cards for their children. 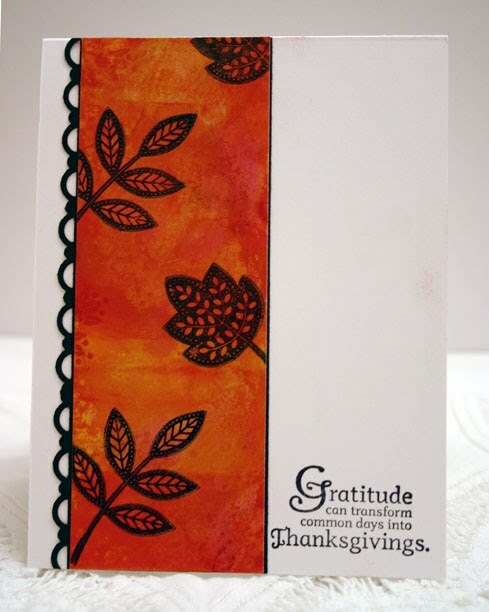 I used the 1 3/8" punch on Very Vanilla cardstock, various ink colors and paintbrush with water spritzer to do the leaves. Season of Friendship tree in Soft Suede. Sentiment is from Owl Together Now.